Every summer in San Diego, the Esri User Conference (UC) is a hub of collaboration, new ideas, and cutting-edge technology available to GIS professionals across virtually every sector. 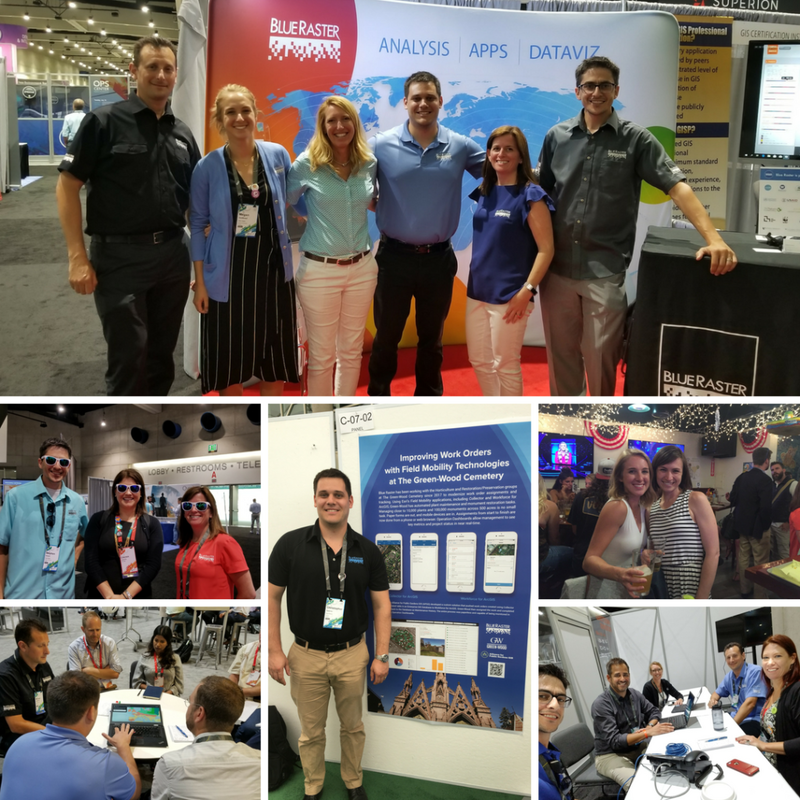 The Blue Raster team was excited to participate in the largest conference to-date; over 18,000 attendees, and showcase our latest work, meet new friends and learn from others in the GIS community. Spatial Analytics – continuing to expand the science of where and the capabilities we deliver to our customers; Irving Forestry gave an inspiring demonstration on how they use GIS to transform their forest product supply chain from seedling to shelf. We look forward to continued advancements in sustainable resource management and our ongoing research on Emerging Hot Spots. Societal GIS – We are continuously in awe of the expansion of the GIS community and what this means for all aspects of life including sustainability and human rights. We loved having all the visitors at our booth this year, from professionals in conservation and forest management to real estate development and utility support. We were able to demo some of our latest applications, and invited attendees to visit our Map Gallery Poster featuring our work with The Green-Wood Cemetery. This specific collaboration led to the creation of a mobile data collection and task management system utilizing Collector for ArcGIS and Operations Dashboard for ArcGIS, that has completely replaced the paper collection system used previously. 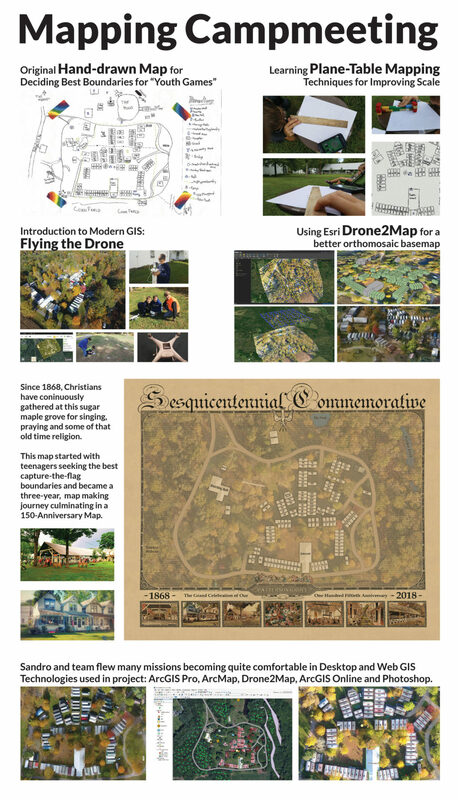 The Blue Raster team also wants to give a special shout out to Sandro Ansari who worked with the help of Stephen Ansari to create an orthomosaic basemap of the Patternson Grove Campmeeting grounds and cottages. After flying the grounds with a DJI Phanton IV Drove, Sandro created the basemap using ArcGIS to digitize cottages and features. Sandro won first place for this map in the Student Map category. Way to go Sandro!